What's The Best Curcumin Supplement In 2019? BioPerine, Longvida, Theracurmin, NOW Foods, Jarrow Formulas, Doctors Best, BCM-95, and even generic brands… no matter which you buy, all brands will claim to have the best bioavailable curcumin. Their product reviews almost sound identical in that regard. These supplements are made from curcumin (derived from turmeric) and usually, at least one additional ingredient. The manufacturers will claim these extra ingredients help to ensure more of the active ingredient makes its way into your system, instead of being flushed out before absorption. But how much does it really help, if any? Rather than review every brand of turmeric and curcumin product on the market (there are hundreds!) 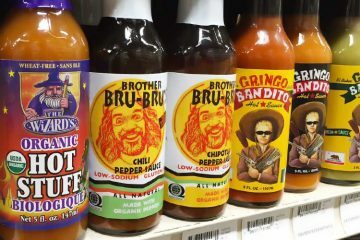 it makes more sense to review their added proprietary ingredients. Why? Because the same 6 proprietary ingredients are used by hundreds of different brands and products. They purchase the patented ingredient (a proprietary form of curcumin or a separate substance which increases absorption when used in conjunction) to use in their capsules, tablets, pills, and powders. For example, there are dozens of different turmeric capsules on the market which contain BioPerine (the proprietary ingredient). 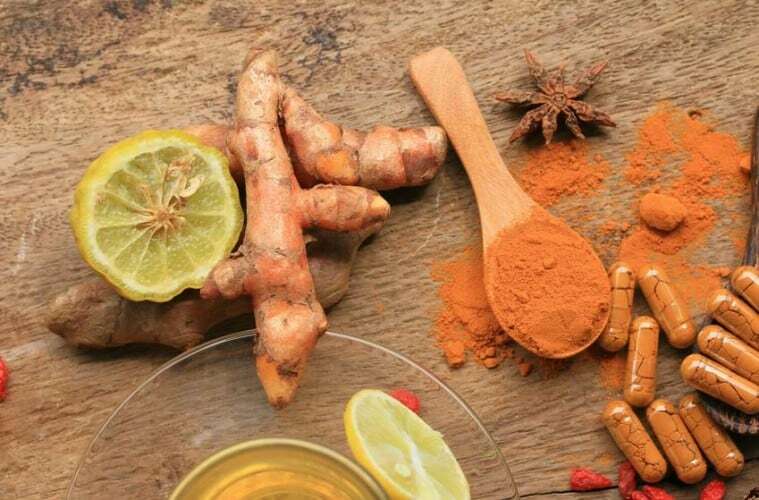 Here’s a look at the 6 top rated curcumin supplements used by countless brands and products, how they compare, as well as the drawbacks of each. First, it’s important to differentiate between turmeric and curcumin. Curcumin is the active ingredient/compound in turmeric and has been used in herbal medicine for over 4,000 years in many parts of the world. More recently, scientific research has suggested there may be benefits relating to inflammation1, indigestion (including dyspepsia, bloating, and gas), ulcerative colitis, stomach ulcers, osteoarthritis, heart disease (including atherosclerosis and lowering LDL cholesterol), blood clotting, antibacterial and antiviral properties, uveitis (a form of eye inflammation), neurodegenerative conditions (including Alzheimer disease, Parkinson disease, and multiple sclerosis), and even preliminary results suggesting anti-cancer properties2. 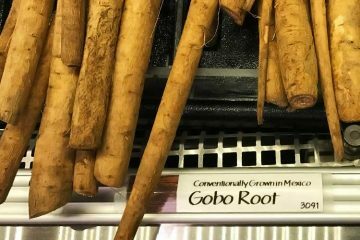 Since this root is an antioxidant with a high ORAC value of 127,068, it may help in reducing damage to cells and DNA caused by free radical molecules. We’re including this non-proprietary ingredient on the list since many of the lower-end supplements use it. 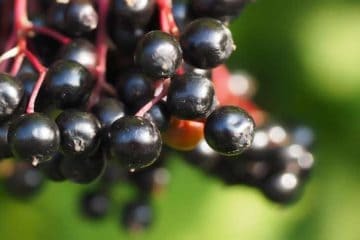 Piperine is an alkaloid found in black pepper, and is notorious for its ability to increase the bioavailability for an array of nutrients. It does this by inhibiting key enzymes for metabolism, preventing substances from leaving cells, decreasing intestinal activity, and stimulating useful amino-acids. All of these changes work to keep substances in the body’s cells longer. In the case of curcumin, several studies have demonstrated how piperine aids in absorption. One such study published in Planta Med in 1998 demonstrated that the bioavailability of curcumin with piperine in humans increased up to 2,000% (yes, that’s two thousand percent!) compared to taking curcumin alone3. A more recent study published by Neurotoxicity Research in 2011 found that administering piperine along with curcumin enhanced the effect of curcumin in a 25 mg/kg dose, but not in a 50 mg/kg dose4. This suggests the amount consumed will influence bioavailability. BioPerine is technically a brand of ingredient, not the finished product you buy. Curcumin capsules and powders include this ingredient to increase absorption. Typically the amount of BioPerine used is less than 1% by weight. 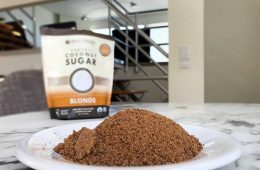 The brand name BioPerine is owned by Sabinsa Corporation, which manufactures and supplies alternative and natural products including herbal extracts, minerals, and cosmetics. Dr. Muhammed Majeed founded Sabinsa in 1988 and today, the company employs over a thousand people with operations in 11 countries throughout the world. Although most known for pairing with curcumin, BioPerine’s active ingredient – piperine – has been demonstrated to increase absorption of CoQ10, selenium, vitamin C, beta carotene (vitamin A), resveratrol, and numerous other water and fat soluble vitamins, minerals, antioxidants, and amino acids. What is BioPerine complex good for? Well, this peperine-derived product has undergone U.S. clinical trials to validate its safety and efficacy of increasing the bioavailability of not just curcumin, but many other nutrients, too. This method and composition were patented. The previously mentioned clinical trial that was published in 1998 had examined BioPerine absorption in both rats and humans3. 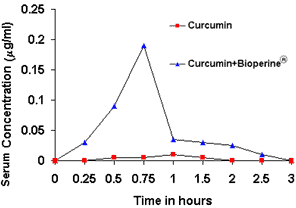 Rats had a much higher absorption rate than humans for both basic curcumin and curcumin with BioPerine, but both groups saw an increase in curcumin concentration in the blood when BioPerine was used. For humans, when 2g of curcumin per kg of body weight was administered, the maximum blood serum concentration reached was 0.006 mcg/ml. When the same dosage was given with 20 mg of BioPerine, it boosted the levels of curcumin in the blood to 0.18 mcg/ml. It’s true that’s a 30-fold increase, but the decrease from 45 to 60 minutes is dramatic as you can see. The BioPerine patent (5,536,506) was filed February 24, 19955. A patent is good for 20 years, which means that this one as well the several child patents granted under it are now expired. That being said, even though nothing legally prevents a competitor now from ripping off Sabinsa’s composition, it still continues to be a good idea to buy products which contain their branded ingredient. Why? Because they have a proven track record of manufacturing it. Newcomers may – or may not – manufacture it as uniformly. After all, Sabinsa has had 20+ years to perfect that process. The BioPerine ingredient is sold to numerous supplement manufacturers. That means that in addition to the most widely known and best rated turmeric supplements using it, some cheaper (e.g. store brands) and lesser-known brands use it, too. Longvida, like BioPerine, is a brand of ingredient which is sold to various manufacturers to use in their curcumin products. However unlike BioPerine, which in and of itself does not contain curcumin, this includes it. Of course you’re probably asking, but what on earth is a phospholipid? They are a type of lipid. But what is a lipid? The following statement is completely sacrilegious, but to keep things simple, think of a lipid as a synonym for a fat (but technically… fat, as well as phospholipids, waxes, sterols, fat-soluble vitamins, triglycerides, and others are actually subcategories of lipids). What’s interesting about their IP strategy is not only did they go for patenting a composition for making curcumin more absorbable, but also, they directed it towards certain diseases. This composition has a respectable amount of research and clinical studies examining its effectiveness in curcumin absorption. Their website claims that the formula is 65 times more bioavailable than curcumin alone. They were probably talking about the 2010 article published in the Journal of Agricultural Food Chemistry, which examined curcumin levels in the blood with and without phospholipids. For healthy adults, plasma curcumin was undetectable when administered alone, while the curcumin/phospholipids cocktail showed a mean peak concentration of curcumin of 22.43 ng/mL7. Of course this naturally leads to the question: Longvida vs. BioPerine, which is better? The truth is both are good choices. Both have the potential to increase absorption thousands of percent, compared to taking curcumin by itself. So neither is a bad choice. That being said, since Longvida has demonstrated its ability to cross the blood-brain barrier and bind amyloid plaques (a hallmark sign of Alzheimer’s disease), some suggest it may be the preferred choice for research focused on brain-related conditions and traumatic brain injury. Not to say it doesn’t cross the blood-brain barrier, but we are unaware of comparable clinically-validated research proving BioPerine can do that. On the flip side, remember BioPerine has data proving increased bioavailability of not just curcumin, but also other nutrients such as CoQ10. Just like the two above, this is a brand of ingredient which is used by supplement manufacturers. As is the case with Longvida, the curcumin is included in this. But what’s the other 90 percent? Curcumin (the active ingredient we care about) is one of 3 curcuminoids that is naturally found in turmeric. The other two can be thought of as largely inert ingredients: desmethoxycurcumin and bis-desmethoxycurcumin. Theravalues Corporation, a Japanese bio-venture, developed this patented-form. It’s slightly newer than Longvida, which probably explains why it’s less well-known. In layman’s term, it’s a way to make the turmeric extremely small (a particle diameter of 1 μm or less). Unfortunately, they don’t state what this so-called “scientific scrutiny” is, but one can assume they’re referencing the literature on Theravalues website9. 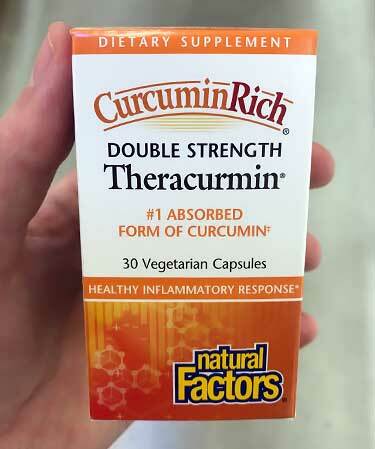 There are 17 original papers linked to there about Theracurmin, and sure enough, it appears the claims are accurate *if* you remember this important caveat… their statement of “other leading forms of curcumin” is subjective. We don’t know what they consider “leading” and which are left out of their match-up altogether. They don’t state who “Product B” and “Product M” are but if we had to guess, our bet is that it’s BioPerine and Meriva (more on that last brand in a minute). Other benefits of Theracurmin is that its easily water soluble (and stays dissolved) which makes it ideal for beverages. Furthermore, it proved very stable in light irradiation tests, meaning it’s probably OK when stored in transparent and translucent bottles. Lastly, it proved largely stable when exposed to heat of 95°C and 120°C (203°F and 248°F). That means it holds up in pasteurization, but remember it’s not tested for typical cooking temperatures which are often hotter. Now in a match-up of Theracurmin versus Longvida, which is best? 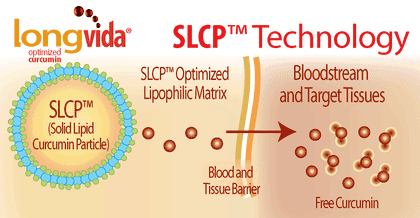 For brain disease, Longvida still wins since it’s proven to cross the blood-brain barrier. However for the research related to anti-cancer properties, one could argue Theracurmin is superior. Screen capture of a 2012 video by Dr. Michael Murray (see link in sources). Text with brand names was not in video. Thanks to a YouTube video by Dr. Michael Murray10, the above chart shows how the amount of Theracurmin absorbed goes up with higher dosages (see the green, red, and blue lines). Evidence does not demonstrate Longvida doing the same. The above chart only shows one dosage for Longvida, but we can look at a 2010 study11 where doses of 2, 3, and 4 grams of Longvida were evaluated in 11 patients with osteosarcoma. The higher 3 gram dose actually resulted in less bioavailability than the 2 gram dose (31.42 ng/mL from 3 grams, 32.51 ng/mL from 2 grams). Meanwhile the 4 gram dose did result in higher absorption, but not as much as you would expect: 41.15 ng/mL. 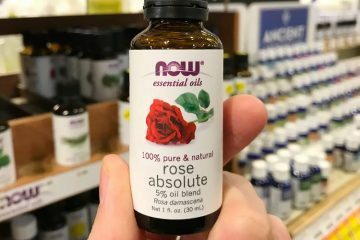 That means only 27% more was absorbed, despite the dosage being 100% higher than 2 mg.
Jarrow Formulas, Thorne Research, Doctor’s Best, and Now Foods each offer various forms, including Meriva which they label as Phytosome. Like the others, this is a brand of an ingredient. It was developed by Indena S.p.A., which is a 90+ year old privately owned Italian company that develops plant-derived materials for use in pharma, nutrition, and personal care products. 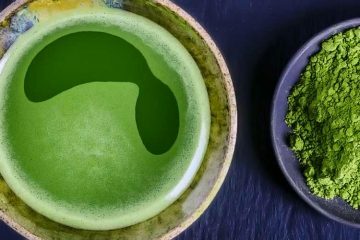 The added proprietary ingredient, which they call Phytosome, is used not only as a means of how to increase absorption of curcumin, but also for an array of other branded products they sell such as green tea extract and ginkgo biloba. 1. Phospholipids complexes of curcumin or extracts containing it. 2. The complexes of claim 1, wherein the phospholipids are soy phospholipids. 3. The complexes of claim 2, wherein the phospholipids are selected from phosphatidyl choline, phosphatidyl serine, phosphatidyl ethanolamine. In a nutshell, it’s curcumin + phospholipids (soy-derived, which are different phospholipids than those in the Longvida patent). The remaining claims on the Meriva application (claims 4 through 9) are merely about the ratios of them used and production methods. What is the bioavailability of Meriva supplements? The answer is not clear. Press releases by the company reference a 29-fold (or 2,900%) increase in total curcuminoid absorption. But as touched on in the Theracurcumin composition, remember there are 2 additional curuminoids aside from just free curcumin. Those other 2 are desmethoxycurcumin and bis-desmethoxycurcumin. If additional studies suggest otherwise, we would love to hear about them. Meanwhile, with such a big question mark lingering, it’s hard to comprehend how Meriva supplement reviews can be absolute in claiming superiority versus Longvida, Theracurmin, or other products. Composition: 86% curcuminoids (curcumin, demethoxycurcuminoid and bis-demethoxycurcuminoid, breakdown of each is undisclosed), 7-9% essential oils naturally present in the turmeric. Like the others, this is a form of curcumin which is licensed to various supplement brands. The manufacturer, Arjuna Natural Extracts, is a company headquartered in India. Founded in 1992, they have approximately 300 employees, which includes 40 full-time R&D scientists. 50% consist of: Ar-curcumene, a-curcumene, Zingeberene, ß-sesuiphellandrine, ß-atlantone, Germacrone. Arjuna’s website cites 14 clinical trials, but only 2 are bioavailability studies; 1 with rats, 1 with humans. The others look at BCM-95 curcumin supplements being used for specific medical issues relating to joints, the urinary tract, mood and stress, cognitive function, inflammatory response, prostate, breast, and liver. If any of those topics are of particular interest to you, visit their website for the complete list of these trials15. How does its bioavailability compare? Impressive when you look at it compared to plain ol’ curcumin. But if it’s BCM-95 vs. Longvida vs. Theracurmin – or even BioPerine – review this quote from the human clinical trial and you can quickly draw your verdict16. Versus nothing added, a 7x increase is great. However, that’s pale in comparison to some of your other options. Composition: “Micellar matrix” which is curcumin “preferably between 7 nm and 10 nm” combined with emulsifier(s). NovaSOL is a proprietary formulation sold to various manufacturers. In the U.S. it’s exclusively sold by Solgar, under the name Full Spectrum Curcumin. The owner of the formulation is the German company Aquanova, whose main business is making food additives and cosmetics. The Solgar bottle touts 185x greater bioavailability, but what is that compared to? It’s versus plain ol’ curcumin. They really should say “up to” 185x because the 10 men in the study tested lower, at 114x. It was the women who had the best absorption17. True, but when you look at the chart of the so-called “micelles” compared to the native form, you see that after the first few hours, blood levels drop off big time. 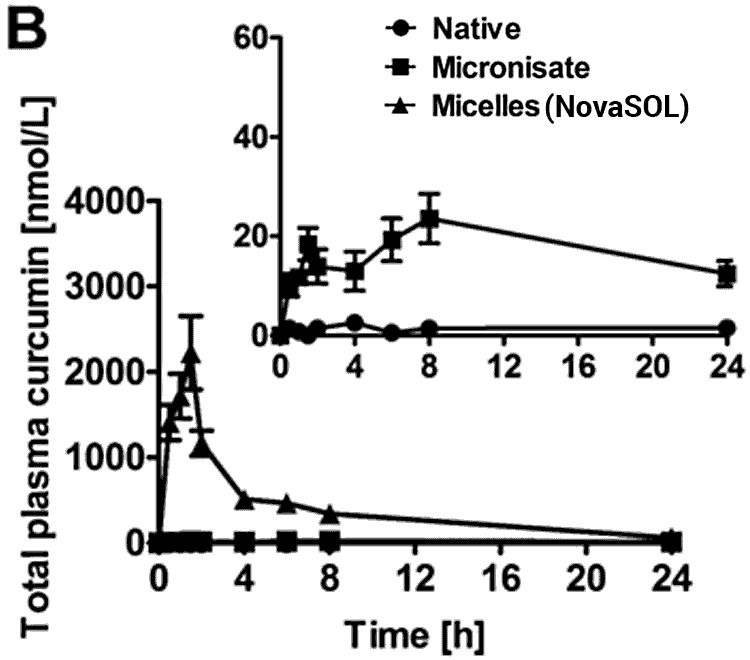 Only one human study has been published on the NovaSOL curcumin micelles. The prevalence of reported side effects was concerning; nausea, vomiting, fatigue, and others. If you want, you can read more about them in our in-depth NovaSOL review. In the same study, those getting the regular and micronized forms of curcumin seemed to have much better safety profile (better side effect profiles). Since the participants didn’t know what form they were getting, this is noteworthy. Since there’s only one trial, this might just be a fluke… or it might not be. The review hopes to provide a quick reference guide for anyone looking information on these bioavailable curcumin formulations. Based on the published reports, NovaSol (185), CurcuWin (136) and LongVida (100) exhibited over 100-fold higher bioavailability relative to reference unformulated curcumin. That isn’t necessarily helpful, because this author was not doing new research. He was merely reciting that of others, such as the NovaSol study we discussed earlier. Hopefully 2019 will bring new human clinical data. Until there’s more, it’s too early to give a verdict. Even if it stays in the blood stream longer to some degree, that perk may not be worth a higher rate of side effects. For curcumin bioavailability, Theracurmin and Longvida, and NovaSOL are the clear winners. The enhanced absorption with piperine (i.e. BioPerine) is trivial compared to what phospholipids or nano-particle size (i.e. Theracurmin) can accomplish. Presumably this is why Longvida, NovaSOL, and Theracurmin don’t even include piperine… that was a first generation supplement. If you’re curious, we buy this brand on Amazon and take it 3x daily. Been using it for years, with zero side effects and excellent results. For curcumin plus other nutrient bioavailability, the old school BioPerine is still a good choice. It has the most versatility of use, since it doesn’t contain curcumin and you can choose the dose yourself. This can be useful, considering that research has pointed to a difference in absorption ability based on dosage amount. Those who care to follow the most current research can change the amount of curcumin they consume based on the latest findings. Plus, it’s fairly cheap versus the phospholipid supplements. With an affordable cost per pill, for a relatively low price you can take more dosages throughout the day, which may help compensate for BioPerine’s inferior absorption. Unfortunately, the clinical trials conducted by the curcumin supplement companies have several limitations that make answering our question difficult. First off, none are brave enough to compare their product directly with a competitor’s formula on an apples-to-apples. All use standard curcumin as their control group. Beyond that, they also test different dosages with different sample sizes. Those who do animal trials are unable to say much about absorption in humans, because of the vast differences between human and rat biology. Also, the size of the dose seems to influence the supplement’s effectiveness, as is the case with basic piperine and Longvida. That said, these studies do paint a picture of how well the different ingredients aid curcumin absorption, so we can get a general idea about which product is the best choice. Should you forget about plain old turmeric? The United States has an Alzheimer’s/dementia death rate which is the 2nd worst in the world (2nd only to Finland). Finland is 53.77 per 100,000 (age standardized), the US isn’t much better at 45.58. Now compare those numbers to 0.46 per 100,000 for India18. Does India’s high dietary usage of turmeric have anything to do with that? If so – as some theorize – then it’s being accomplished without any special patented or proprietary ingredients for increasing absorption. Perhaps eating more turmeric in your diet isn’t a bad idea, either. Can someone recommend a good brand with the Theracurmin and Longvida, as you listed “winners”…there are so many products and I just need a legit one that works! Vegetarian capsules and bioavailability please! Thanks! Joy’s Remedy Super Turmeric, I’ve been taking it since last year and the difference is amazing! Great review. Turmeric is used in curries in India. Onion, garlic, ginger and spices (cumin, coriander, cayenne, chile, cardamom, paprika, lemon, pepper, cloves, and tomatoes/lycopene) vegetables and lentils may also be contributing to its beneficial effect. Likewise the combination of slow heat and fat (Ghee, coconut oil, sunflower oil, etc), which also optimises curcuminoid and lycopene bioavailability. Coconut oil is also beneficial in other respects. 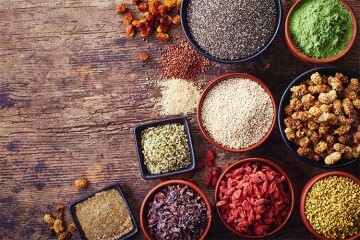 In India curries are consumed for a lifetime – which means it may protect against age-related diseases far better than a supplement treatment which is commenced much later in life. Its a big, natural multivitamin. If I had a choice I would have a curry a day, and perhaps add a little curcumin towards the end of cooking. What about Turmeric 3D? How does it compare to the above brands of Theracurmin HP and Longvida? thanks. Thanks for the comment. I think you may have misread as 65x is mentioned but not 65%. what about bcm 95… in comparison to longvida and theracurmin? not sure i caught was was going on there. i take it that bcm 95 is better for all around use rather than brain health? Andy, may I Have the link ? In India there are some regional variations in the consumption of turmeric. In North India and Eastern India turmeric consumption is very high. In South it is slightly low compared to North and East. However it is way higher compared to rest of the world. Dietary habits are changing in India for worse. In urban centers, Burger King, McD (McDonalds), Pizza Hut and Dominoes are dominating. You know very well how much turmeric is used by those chains. People are becoming couch potatoes. We Indians consume a lot of herbs and spices together like turmeric, garlic, ginger, onions, tomatoes, mustard seeds, red chilies, green chilies, cumin seeds, and asafoetida are integral to our diet. Curry leaves and cilantro too are consumed. What is not said by those who focus on a better “bioavailability” with nano sized curcumin, is that the deleterous solvents used to manufacture such semi synthetic products are also more bioavailable to cells ! and that’s not good at all ! ( Acetone, ethyl acetate, Polyethylene glycol … ) and they forget to explain their process including such toxic items ( mentioned in their patent process … ) that is the reason why it’s better to choose a concentrated turmeric extract, boosted by co factors as piperine and gingerols but with a certification that these phytonutrients don’t contain any nano nor synthetic solvents. Are you sure solvents are present in the final product Floriane? Do you have scientific evidence? Full Spectrum Curcumin liquid extract soft gels. It took away my joint pain in 3 days. I too would like to know how Turmeric 3D compares to the two best mentioned above. Thank you. Phospholipids can contribute to kidney disease. Peperine might have an effect like a diuretic. Black pepper might decrease how well the body gets rid of lithium. This could increase how much lithium is in the body and result in serious side effects. It also might decrease how quickly the liver breaks down some medications. Hello do not know how you done the calculations, because what you should evaluate is the AUC of each product, divide it by the amount of curcumin used in the study and then multiplied by the mg of curcumin that provides each product in a capsule. If you do it right the clear winner is BCM-95. 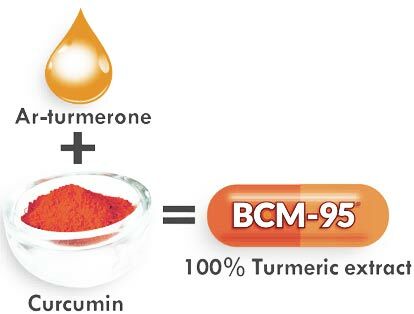 In addition BCM 95 is all Turmeric, all 100 * 100 Turmeric. Ot would be very helpful if superfoodly could answer some of these really interesting and useful questions pertaining to your report on curcumin. I’ve been mixing a heaping tablespoon of dry turmeric powder (that I buy at local Indian food stores, very cheaply) in water with a dozen twists of my black pepper mill. I have to hold my nose between my fingers as I drink it, but I like to get into my system all the nutrients in turmeric. I don’t understand why people say that THE active ingredient in turmeric is curcumin. How do they know that? No-one has tested ALL the possibly helpful nutrients in turmeric. Concerning contamination with lead, chromium and other salts that have a yellowish/orangish color, whenever I open a new package of ground turmeric, I take out a tablespoon and put it into a small bottle that has a tall, narrow cross section, then mix in water to the brim. It takes a couple days to settle, and I look for any different layer of color. My guess is that – if the contaminating salts are not completely soluble in water – they will have different settling times and show up in a layer. I haven’t yet seen any such layer. I agree that this technique may be greatly flawed, but I’ll use it until I know it’s not valid. So yes, there’s some chance that I’m poisoning myself because of the greed of some turmeric seller/manufacturer. Sorry, Sammy, but you need to spend some time on Scholar Google. Curcuminoids only become soluble in water at boiling point. Once cooled, they again become insoluble. Second, a tablespoon of turmeric can be as little as 3% curcuminoid, to perhaps 6 or 7% in Appey turmeric. Therapeutic dose can be around 50mg/kg body weight. If you weigh 60kg (132 lbs), you would need to eat 3 grams of curcuminoid per day–or about 60 grams-or a little over 2 ounces- of turmeric a day, assuming you achieve 100% bioavailability-which you won’t with your method. The article says “the bioavalability of curcumin with piperine in humans increased up to 2,000%”, whereas for Longvida “the formula is 65 times more bioavailable than curcumin alone.” Given the above, why is Longvida better than pepper? UltraCur the protein bound curcumin product was not included in your review. Why? Can anyone recommend the best brand to buy? This is a well-written and extremely useful article, the best one on curcumin I have seen. A real public service. So kudos to the site and to the author. Very informative about turmeric. My uncle who is suffering from psoriasis started using curcumin capsules. There is marked improvement. Cece gel, a curcumin paste which can applied over the skin. How about liposomal curcumin? I have memory problem. I guess I will test a bottle and find out. It supposedly shows results in 21 days, so I will find out. I was convinced about the health benefits of curcumin after reading dozens of scientific articles and in vitro and in vivo tests. Curcumin beyond all doubt had positive effects on health. But when I read the article in Nature from 11-1-17 I am not so sure anymore. Curcumin is a P.A.I.N. according to chemists? Researchers overlooked that fact? “pharma mafia”. Yes, but ‘scientists’ said this and that one can comment… Of course they say whatever they want but there is ‘good science’ and ‘bad science’ there are ‘good scientists’ and ‘bad scientists’ depends who hire them. Think about this.. For example if you look at this site https://www.ncbi.nlm.nih.gov and search for turmeric curcumin, you’ll find totally different findings, opinions. Not sure which article you read, please supply link. However I had a brief look on Google and found several scientific studies that find the opposite of what you are suggesting. Read the abstract of this one for instance. Thanks for sharing that article. I have IGA Nephropathy and doing research on Curcumin, and so far I like what I’m reading, but there are way too many choices. Trying to decide whose formula is best has been difficult. The article referred to is about a paper called “The Essential Medicinal Chemistry of Curcumin” which can be found here https://pubs.acs.org/doi/10.1021/acs.jmedchem.6b00975#, and which is an review of a lot of research in reputable journals. The paper also refers to “The dark side of Curcumin” which you can read at https://onlinelibrary.wiley.com/doi/pdf/10.1002/ijc.24967. The article in Nature received a letter in response, which can be found at https://www.nature.com/articles/543040c, and “A Realistic View on “The Essential Medicinal Chemistry of Curcumin”” responds to the “Medical Chemistry” one as well as the ‘Dark side” one. The first page can be read at https://pubs.acs.org/doi/10.1021/acsmedchemlett.7b00284 but you would need to subscribe to read the whole paper (fulltext will be available after 14 Sep 2018). My personal conclusion is that definitely it does NOT mean that all research into Curcumin supplements needs to be disregarded, but caution should be exercised when evaluating research, and some disadvantages of Curcumin need to be recognised too. (note that “not proven” is not the same as “proven wrong”, especially if the result of poorly designed research). The statement that research to date has NOT shown that pure Curcumin (ie (1E,6E)-1,7-bis(4-hydroxy-3-methoxyphenyl)-1,6-heptadiene-3,5-dione, often synthetically created) acts beneficially, needs to be balanced by human studies, case reports, population studies and long term use in traditional Asian and Indian medicine that have suggested that supplements such as this thread is discussing do. More research is needed to work out why. But in the meanwhile I am content to try it at a safe dose to see if it can benefit me too as an anti inflammatory. My spouse has MGUS – dangerous precursor to Multiple Myeloma. We discovered Sabinsa (C3 Bioperine) curcumin (generally using Doctor’s Best capsules) from Margaret’s Corner web site. She has Smoldering Myeloma, which is the next stage after MGUS and before Myeloma. She and many of the others posting on the site are using supplements to try to stop the progression of their disease to Myeloma. Doctors say there is nothing we can do to stop it, just watch and wait until we get to the point of using chemo and stem cell transplants, etc. Like the posters on her web site, we were able to hold my spouses progression down (measured by blood tests) and even reverse it somewhat using Sabinsa’s formulation of curcumin. Margaret and friends tried switching to BCM-95 and their blood levels went shooting up. They switched back to C3 right away and kept their numbers in check again. Anecdotal, yes, but their lives are on the line and they are sticking with C3 for now. So are we. We did start adding in some UltraCur, which also uses whey protein to enhance bioavailability. They have some impressive results. 100% manufactured in the US. Ratios of the curcuminoids is also very good. The most informative article on curcumin and turmeric. I have been trying to find a good product for my tennis elbow and got so confused by so many products available. After reading this article, I think I know how to choose the best one to suit my needs. Thanks. the reason for all the confusion is that most curcumin info websites are actually nothing more than a commercial for a specific brand, and each claims that their brand is the best. It’s all marketing B.S. This is the first site I found that seems to offer objective, unbiased info. Whenever you research anything on line, as soon as you read something like”this is the only product which actually works”, or something to that effect, it’s all lies and you can leave that site immediately. One curcumin site states ‘only our product contains nothing besides pure, natural curcumin without any added ingredients”. They fail to mention that virtually zero of their product is absorbed. 1 Lb of Turmeric is $12…take with black pepper and sliced fresh ginger. Same effect and natural. I too would like to know how Turmeric 3D compares. I think I’m the fourth person to ask this!!! Life Extension curcumin is considered by many to be the best. I’m amazed you didn’t include it. Life extension uses bcm-95 which they did in fact mention. Are you still feeling amazed? Please investigate Tumeric 3D. It claims to be superior to any of the products you mentioned due to special fermentation processes. In addition to Tumeric, Tumeric 3D contains fermented D3, Turkey Tail mushroom, Ashwaghanda, ginger and Fuliv Acid. Does anyone know anything about Solgar curcumin? It seems to have higher bioavailability by far than any of these products. No mention of Novasol Curumin. German made, used by Solgar and more effective than all of the above. I agree. My wife and I actually tried most of the above-mentioned products for at least 6 weeks each. And the Solgar NovaSol was the only one that actually provided very noticeable efficacy. The research on NovaSol is also far more convincing, and was publicly-funded by the German government. IMO, NovaSol is without a doubt the best curcumin product currently on the U.S. market. Am I alone in noticing exactly zero benefits from these? Curcumin C3 Complex by Sabinsa Corporation can be impressively better. Very informative information. 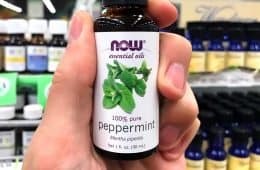 Based on the many types of ailments that supposedly curcumim can help and many thoughts on which product is best here is my thought. We may want to consider they may all be good but one type of delivery system may benefit certain medical conditions over others. Your recommendation of Theracurmin says 3 times a day. Is this the 30 or 60 mg size? based on several recommendations of friends and acquaintances, suffering from serious illnesses and health-related problems I started to use a Swiss product containing a high dose (density) of curcuminoids (95%) , which has pharmacy quality and thus I am 100% sure that what is in the product, is safe and effective. My problem was rheumatoid arthritis, which was truly painful and I often could not sleep during the night because of these pains. Non of the traditional medicines I was prescribed helped in truly getting ride of this pain. I started to simply use it by taking 6 tablets each day over a 2 weeks period of time. After that I reduced to currently 4 tables a day. After using it for 2 months I got rid of the pain, I was able to move again as if the rheumatoid arthritis never existed and I was no longer bother by the pain when I was going to sleep. I am 60 years of age but my body feels as if I am 40 years of age. I can do sports again, I feel far more happy than I felt over the past years with rheumatoid arthritis and I have even taken up tennis again, something I could not over the past few years. Thus I am happy with this product as it really works for me. John Peterson, can you tell me the brand you buy? John, what is the brand? I don’t believe there is a quantifiable “best.” I have been taking the following for an arthritic bone-on-bone shoulder degeneration, and have completely avoided shoulder replacement as a result. Add Black Pepper, Ginger, N Acetyl Cysteine, Boswellia, Cats Claw, Chondroitin, Glucosamine and MSM, and see the difference. John, you did not say what the name of the Swiss product is??? My husband also has RA. Hi John, what is the Swiss product called and who sells it. Excellent post. Great deal of knowledge. My simple question is if can’t afford any of the brands or mixtures..can we at home consume fresh turmeric dissolved in water together with a pinch of black pepper? The answer absorption issue is solved I presume …at least better than taking pure turmeric. I grade fresh turmeric and place it in warm oil (with garlic and ginger too) which becomes base for various meals. This helps with availability as it is oil soluble, not water. Quite a well put-together article. Unfortunately, I am mainly researching curcumin supplements in order to try and avoid the nasty solvents, which is one aspect this article does not touch on at all! Do we have any idea which of the above brands do and do not feature toxic solvents in the final product? check on: Biomor curcumin NO GMOS, NO STEARATES, NO CLASS-1 SOLVENTS, NO SYNTHETICS. Find here the Ingredients and Supplement Facts label for BIOMOR Curcumin…. The frustrating thing about all these posts is that very rarely is there ever a response to a question someone asks. My thought is that once someone has posted a comment, (s)he never goes back to the site again. I agree it is frustrating. Any thoughts on nano curcumin ? Jani, as some previous comments address, a question remains about whether the processing to nano-size perhaps leaves some toxic residues. This question is not answered here. As good, and maybe impartial, this article is, it shows that there is no “one right answer, or product” and each of us must continue to do our own investigating. I’m sticking with Turmeric 3D by Epigenetic Labs because all their products are so pure. Ty Bolinger is part of their company and backs them and is working quite hard at getting info out to the public on The Truth About Cancer, as well as The Truth About Vaccinations. It all depends on which company you feel has your health in their best interest and not all about the money just good clean products. I’ve tried several of Epigenetic Labs products and have been extremely happy with every one. Frankly, I’d be skeptical of anyone wanting to tell me “The Truth About Vaccinations”. The truth about vaccinations is that they’ve saved hundreds of millions of lives globally. Any suggestion to the contrary should be summarily ignored, and its advocate should be denied any and all credibility. Pay no attention to ‘Doug’s’ uninformed comment about Ty Bollinger, the Truth About Cancer or the Truth About Vaccinations as they clearly have swallowed the dangerous line that vaccinations are our savior when clearly by the chemical cocktail alone ‘per vaccine’ and administered to an individual by the time they’re 18 upwards of ’70 vaccinations’, it’s creating a death spiral for future generations. When our own government has eliminated the ‘vaccine injury reports from their website as of 2015’, one sensible question would be ‘why’? 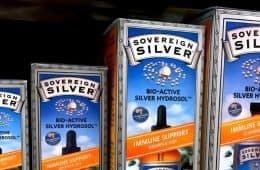 Injuries & deaths have increased exponentially and yet the purveyors of these poison cocktails that include aluminum, mercury, etc. don’t seem to see a problem with mandating this shotgun approach at the expense of the general public. Just follow the money; it’s that simple. No one was meant to be filled with drug cocktails at every government whim when we used to be told, just say no to drugs. Must be nice to be a government lackey and still keep your job while poisoning the populace at will. Vaccinations = deaths & injuries – just say NO! Actually Ed, it is you who appears to be uninformed. It is a fact, and not merely my opinion, that vaccinations have eliminated hundreds of millions of disease cases globally. They have even almost eradicated certain diseases. This is a major achievement of modern medicine. Moreover, the government has not “eliminated vaccine injury reports from their website as of 2015”. Who fed you such nonsense, and why did you believe it? That information is right here: https://vaers.hhs.gov. And mercury in vaccines?? Ed, are you aware that thimerosal (what you’re calling “mercury”) was removed from almost all vaccines almost two decades ago? Moreover, there was no decrease in any vaccine-related disease conditions, including autism, when it was removed. Oh, and 70 vaccines by age 18??? I don’t know even a single person who has received even close to that many vaccines by age 18. Sounds like more “vaccine truther” nonsense. Must be nice to live in ignorance, Ed. Maybe even blissful! You should Google “vaccine myths” and educate yourself. It is completely irresponsible for you to be propagating harmful rubbish like this. How about buying bottle of several different types and then taking a couple of each per dose. Taking ascorbyl palmitate orally probably doesn’t result in any significant incorporation into cell membranes because most of it appears to be hydrolyzed (broken apart into palmitic and ascorbic acid) in the human digestive tract before it is absorbed. Palmitic acid or a high-fat diet specifically boosts the metastatic potential of CD36+ metastasis-initiating cells in a CD36-dependent manner…Together, our results indicate that metastasis-initiating cells particularly rely on dietary lipids to promote metastasis. Therefore, Longvida is a questionable alternative. THERACURMIN consisted of 10 w/w% of curcumin, 2% of other curcuminoids such as demethoxycurcumin and isdemethoxycurcumin, 46% of glycerin, 4% of gum ghatti, and 38% of water. THERACURMIN, Meriva & BCM-95 are better alternatives! Coli, I am not a biochemist, but Theracurmin 46% glycerin? Glycerin is a lipid. It’s quite obvious that this well-presented article hits a collective nerve. 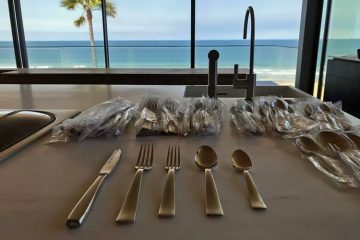 People want to and should know the pros and cons of the in-your-face products being assembled on store shelves and internet sites. It would seem that, in India, if the low incidence of Alzeheimer’s is actually due to people using and consuming turmeric in their food, then, perhaps, just taking raw turmeric, with black pepper and a few other ingredients would provide the same wonderful results and at a fraction of the cost. Having said that, not everyone will find the taste of turmeric that appealing. So perhaps someone should come out with a cookbook that presents tasty recipes for ingesting turmeric, keeping in mind that in America, it seems we glom onto the latest and greatest “new” herbal discovery and start slamming it down to effect that quick-fix that we’ve come to expect from our supplements, when, in reality, the use of turmeric in India is a lifelong practice, so the cumulative effects are what is bringing about these wonderful results. So the question might be, is standardizing turmeric the way to go or not? As in past herbal and vitamin supplement fads, we hear about the benefits that standardized products offer. So who decides whether taking the raw, entire form of the herb is superior/inferior to standardizing a portion of that herb’s ingredients? Might be a form of Russian roulette. Allen, it seems to me the FDA should “decide”, but apparently have other things to do. 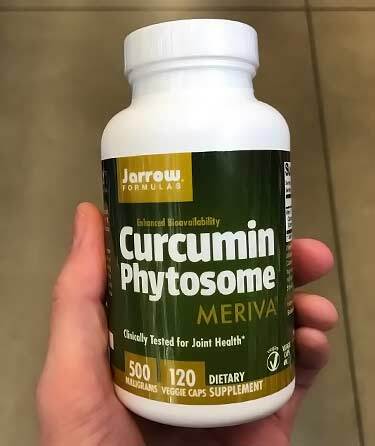 If the Bioperine doesn’t contain actual curcumin, but increases the bioavailabity, wouldn’t the BEST choice be to take a piperine supplement in addition to a phytosomal curcmin supplment? Bioperine pills are cheap and tiny. I get them for $7 on Amazon by Source Naturals for 10 mg.
LOL I take them with Natural Factors Theracumin + Dr. Tobias Fish Oil + Now Foods Green Tea extract. 3x daily. That’s my current stack and it works well for me. When I comes to bioavailability, I have no data to prove if Bioperine + Theracumin would be good. Or just use organic turmeric powder? The curcumin should be taken with a fat to increase bioavailability and it should be heated. Indian milk drink is great: 1 tsp of turmeric, a tsp of coconut oil, full fat milk in a mug. Heat as for hot chocolate. I add a bit of cinnammon, bit of ginger and coco powder as I like it better like that. You wont notice the oil. 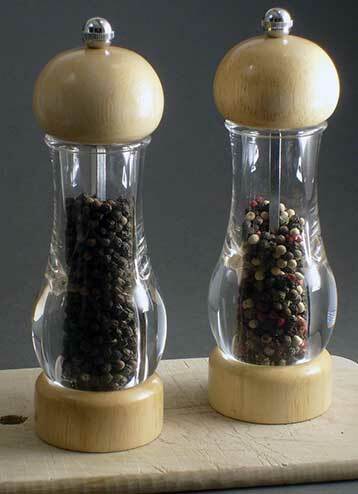 Now I’ll try a bit of ground pepper too after reading this article. I’m curious why Sisu Curcumin which is water soluble, is not mentioned in this articles? I was a user of golden milk. This is made of a turmeric paste made from a quarter cup of turmeric powder in half cup water heated gently almost to the boil and stirred for 10 minutes . This was then cooled and kept in fridge in a glass airtight container. I then used 1 teaspoon of paste twice a day heated gently and added to a cup of milk (own choice of milk, i.e. cows, almond, soya) adding in sprinkle of black pepper and teaspoon of ud’os oil. This was quoted elsewhere as being brilliant for dealing with arthritis, memory problems, and cancers etc. It was definitely helping with my arthritis and with others that I recommended it to. I have since discovered Al Sears MD who recommends Primal Force curcumin triple burn capsules containing turmeric root, ginger root, Holy basil, Galangal root powder, and Bioperine black pepper extract. I am 6 weeks into a 3 month supply but have not yet witnessed any benefits. I will persist, at least for recommended 3 months. I would love to hear if anyone else has used this product as it is reported to have multipurpose healings? Did you guys even read the Meriva study or understand what the abstract is actually saying? curcuminoids. That’s a very small Meriva dose, normally you’d take at least 1 gram at a time. CurcumEvail by Designs for Health is my hero. Hi. Thank you for this informative article! I’ve been taking both Meriva (for joints, arthritis) – Source Naturals brand, and Longvida (for brain) – NOW brand. Interested in switching to Natural Factors brand after reading this. Want to be careful not to take too much, but would like to ask the author, what do you think about the combo of taking 1 Natural Factors Theracurmin per day and one NOW brand Longvida per day? There was a BBC tv program I saw last year or the year before (it was one episode in a regular BBC series that is hosted by a well-known doctor in the UK and which often conducts real-life “experiments” with volunteers and explains the results) that had one group of volunteers take a highly-rated turmeric/curcumin supplement daily and another group to cook with turmeric/curcumin and eat the same amount daily. The health of the group that used it in their cooking and therefore ate it in foods improved in several ways (they did blood tests, etc., before and after) but the health of the group that took the pills had no change. The program concluded that it was better to use turmeric/curcumin in cooking, to pair it with sufficient fats, and so forth, than it was to take it in pill form. I’m trying to remember the name of the series — it might be “Trust Me, I’m a Doctor” with Dr. Michael Mosley as the main host. Yes, I think that was it. You can’t see entire episodes outside of the UK due to the bureaucratic rules of tv program transmission rights, but the series has a website where it describes what they covered in each episode and it shows a number of several-minute-long clips (which anyone in any country can watch for free, as far as I know) that contain good information. then I cool the liquid in the pan down for a minute by tilting the pan half-on, half-off a potholder on top of a cooling rack so that it is easy to pour off the liquid into a mug and keep the majority of the “used” spice powder in the pan (which I discard when I go to wash the pan). At that point, I add a little cold milk to the mixture. (I don’t like to boil milk in a saucepan, so that’s why I don’t add it as the main liquid in the beginning. I do realize that most recipes for turmeric golden milk actually boil the milk. and try to bind the spice extracts with the milkfat.) I put a small amount of Manuka honey from New Zealand in the mug and stir it in, after I add the warm liquid from the pan to the mug, before I add the splash of cold milk from the fridge to the mug. My wife is looking at that but is concerned regards staining of the teeth. Have you noticed any thing with your “golden milk” drinking ? Teralee, have you tried Edward’s combo? Do you mind sharing any positive results and your email? 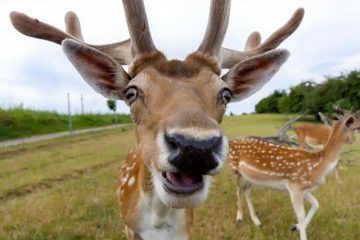 I’d like to chat about the routine that gives you that great look. 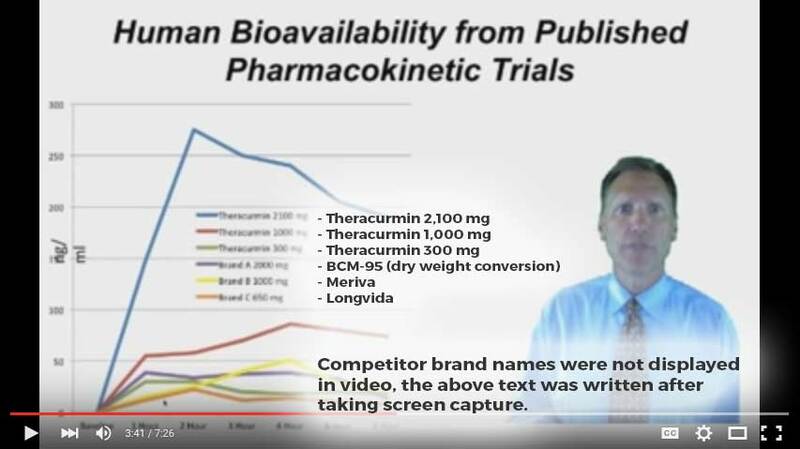 A sanity check remark, though: Dr. Murray’s YouTube video on Theracurmin shows a graph plotting 2100 mg, 1000 mg and 300 mg of Theracurmin vs. 2000 mg of BCM-95, 3000 mg of Meriva and 650 mg of Longvida. Would these dosages be equivalent to 35, 16+ and 5 capsules of the “double strength (60 mg) CurcuminRich” (at about 60 cents/capsule), vs. 3 capsules of “BCM-95 Curcu-Gel Ultra 650 mg” (at about 42 cents each), 6 capsules of “Jarrow’s Meriva 500 mg” (at about 22 cents each) and almost 2 capsules of “NOW Curcubrain Longvida 400 mg” (at about 37 cents each)? 2) given that the bioavailabilities for the other four options are similar at the dosages graphed, wouldn’t it make sense to rate them based on dollars/ng/ml, and wouldn’t Theracurmin come in at the bottom? Am I missing something obvious? Please clarify and confirm that Theracurmin is indeed your product of choice. Didn’t realize how important black pepper extract was in the absorption of turmeric. Explains why all the top rated turmeric supplements all have BioPerene in them. 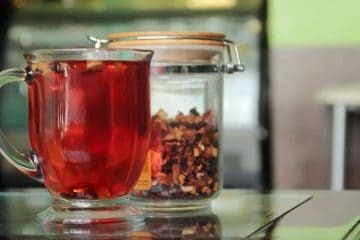 Are there any other natural bio availability enhancers out there like teas or food blends that would improve the absorption process? Better on empty or full stomach? I was taking Natural Factors turmeric force for a while. I honestly did not feel much of a difference in my aches and pains. Then I switched to Solgar’s curcumin and I am experiencing a feeling of well being – I hit my head a few years ago resulting in pain all over my head, inner ear problems, pressure in the head – along with the start of aches and pains in my joints. After 2.5 years and visiting with 15 doctors ranging from neurologists to ear doctors to rehab optometrist, to internists – I ran into Upper Cervical Chiropratic. Took x-rays, and was diagnosed with misalignment of my C1 and C2 vertebraes – and misalignment of lumbar vertebraes, etc. I had aches and pains in my knees, back, neck, head, etc…. This is the second week of Upper Cervical chiropractic and I am already experiencing a shift in my body, spine, less headaches, etc. So maybe, my improvement may not be entirely Solgar’s curcumin. I learned that most of us humans have misaligned C1 and C2 and it causes most if not all of our dis-eases, because it compromises all of our nerve inputs to innervates all our organs. The article mentions that people in India have great cognition, but they also practice Yoga since childhood, which stretches their spine and relieves nerves. NovaSol Curcumine, French made, used by Cell’Innov is also worth while. Have you heard about it ? I have a hard time swallowing pill/tablets/etc. is there a good brand/forumula of curcumin that comes in liquid or powder? Are the Holland and Barrett supplements in the UK good enough? Once again, bioavailability is not the end-all-be-all with curcumin. It is NOT the most important factor you need to look at. So what IS the most important factor? The amount of free curcumin that ends up in your bloodstream! High bioavailability with a product that only puts curcumin metabolites in your body (i.e., products like Theracurmin) is almost meaningless, since it is known that free curcumin – and not curcumin metabolites – is what actually provides the health benefits. To-date, there are very few curcumin products that have proven to provide both good bioavailability AND measurable free curcumin in the bloodstream. The only ones I know of are Longvida and NovaSOL. Most of the rest of the available curcumin products are relying on marketing hype and deceptive science to peddle their inferior products. The recent UCLA study by Small et al, which was a prospective, randomized, double blind 18 month study in non demented elderly adults, used Theracurmin at a dose of 90 mg bid. Those who took the Theracurmin showed cognitive improvements on several scales relative to controls. Furthermore, those on the active substance showed reduction of amyloid and tau in several areas of the brain; control subjects showed no such improvements. Side effects were minor. If these results are duplicated in larger studies (already underway), it will be game changing! Until then, I’m using Theracurmin 90 mg bid, just as in the study, and that’s what I recommend others do, too. Novasol has the polysorbate 80 problem you didn’t mention. There are a few discrepancies in your article. It is not exclusively the nanoparticles that makes Theracurmin superior in bioavailability. It is the water dispersible technology utilized because it is bound to gum ghatti which is a vegetable glycerine, making curcumin hydrophillic. This is why it is quickly drawn from the stomach into the blood plasma and it hangs out there for over 24 hours. Even after 24 hours, Theracurmin’s concentration level was higher than Meriva’s PEAK plasma concentration level at hour 4. 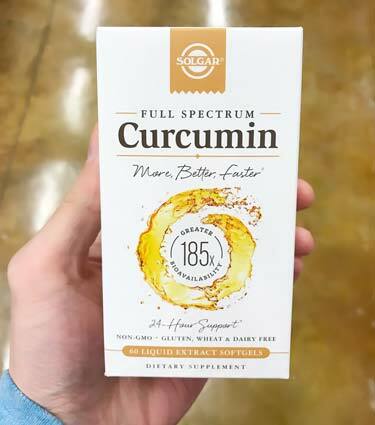 You made no mention as to curcuminoids vs curcumin, which is also essential for comparing turmeric supplements – Theracurmin HP provides 180mg of PURE curcumin in 2 veggie capsules. 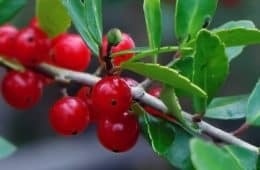 You also failed to acknowledge the side effects of piperine – it irritates the gut AND it interferes with glucuronidation; a key component in our body’s detoxification abilities. Piperine suppresses and inhibits the UGT Enzyme which is responsible for metabolizing medication, toxins, including curcucmin. Lots of comments and leaves one wondering what to believe. Solgar Nova Sol was highly recommended, but then a read a comment “novasol has the polysorbate 80 problem”. What does this mean? 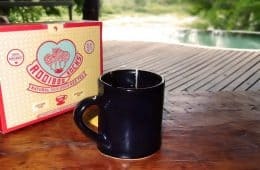 I have not tried any of the blends in this article but I swear by the mix of turmeric and bromelian by NOW supplements. It has made my skin so clear and recovery time from exercise zero… I don’t see bromeliad mentioned in the aid of turmeric absorption along with it’s own anti-inflammatory benefits, but would love to see a comparison. But I know this is an old article. When I did the bulk of my own research on turmeric and curcumin about 15 years ago, I had faith in a study that I believe reported that effectiveness declined after a certain dosage amount – the more you took beyond the optimal amount, the less effective it all was. Also, I thought if you took it every day, always, it would lose its effectiveness (as do some herbs and drugs). Since I never read accounts like these, more the contrary, I wonder if I got it wrong. In any event, I’m not completely convinced by anything other than turmeric and curcumin do have the evidenced benefits at least some of the time at some of the doses. BioMor (Healthy Source) is THE BEST Curcumin for me by a long shot! I’m wondering why you didn’t research BioMor in this Blog? I have been taking BioMor 3 times a day for 4 years now and not only has it conquered my pain after vertabral injuries from a nasty car accident, as well as lightening my natural emotional downs with any chronic pain, BUT!! I had a Cardiac Angiogram after 2 years on BioMor and towards the end of the procedure, my Interventional Cardiologist blurted out “I want your Heart, what have you been doing?” The 2 Cardiocath OR Nurses also wanted desperately to know pronto as well. I have a Pacemaker with a Heart condition and ALL plaque from my Arteries had GONE completely. Clean & pristine as a new born baby. BioMor was the only addition to my intake over that time so I can only assume BioMor prevents the inflammation in our bodies right down to our smallest blood vessels and probably everything right through to the cellular level. After being on this Curcumin for only a number of weeks I really began to feel good in my body and it just gets better and better with time. Sadness naturally comes with chronic pain, along with a terrible feeling of a lack of hope and I noticed my mood had begun to lift within two weeks of starting BioMor Curcumin. I can’t say what the others are like as I’m sticking to the best I know. BioMor also has no additives and is safely prepared without solvents or other nasties. I must add that patience is needed, because any Curcumin takes a while to calm the inflammation most bodies suffer these days due to all the toxins in the air, water, food, clothes and the list goes on, we can’t escape it because it’s in our rain water before anybody even adds any rubbishy toxins to our food and everything else. 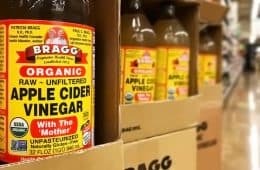 Who asked us if they could add all these toxins to our foods? Lack of knowledge? The easy way out or just plain Greed? Nobody asked us! I have never even met or verbally spoken to anyone from BioMor. I live in Australia, but they are very efficient with my orders and I have never had cause to complain about anything to do with this great company. I did contact them once to ask if they could pack more bottles into one box to save on postage costs and ‘Bingo’! That was immediately put into action with my next order. BioMor is Pure Curcumin from the root of the Turmeric plant with no pepper or other carriers added to make it more Bioavailable, instead they use the natural oils from the plant itself. BioMor Curcumin levels appear to rise quickly into the blood soon after swallowing, the levels also rise higher than others I have noted for those who show their information on their webites and BioMors Curcumin also seems to be active in the body for longer than others I have seen on the market, it lasts over 8 hours, so over time I have found that it becomes far more effective. I cannot comment on other brands as I have not tried them, but BioMor Curcumin have an extremely informative website which explains the biology and workings of their Curcumin within the body in great detail and is fairly easy to understand with the addition of drawings which help immensely. I did a thorough research of many Turmeric and Curcumin brands before I was convinced BioMor was worth a try. I have been doing medical research for many years and check out every nook and cranny to fail them. Nup! Just so very glad I found them. Curcumin may just have saved my life from the dreaded Arterial Plaque buildup. Curcumin is a strong antioxidant and now known in many quarters to prevent Viral, Bacterial and other infections. It is also a cancer prophylactic and many people have claimed it also cures some cancers. A large percentage of cancers are caused by Viruses and Bacteria, thus its success rate. Very informative, well written article.Thanks! This is such an informative article that at the end we are at a loss, because there is no definitive answer. So thanks for nothing. Usually there is a conclusion at the end stating that for this problem this product is the best, or for the price this is the most effective, or if you have money, buy the more expensive. Yet we are left with our own doubts. By the way I am taking Health Secret’s Boswellia from Amazon 2 pills a day. 1. Life expectancy is much lower (10+ years) in India than in the US and AD develops mostly at older age, so maybe Indians die earlier before they could get it. We should compare apples to apples, the same age groups. 2. If natural turmeric even with its low bioavailability is good against AD, then why are we researching better ways to get curcumin into our bodies in a much more expensive and not natural way? It is either good for the Indians in its natural form, or if not then let’s not use India as a positive example in the fight against AD. All in all, my personal take away is that if you want to take turmeric for years you have to do the trial and error approach and try out at least 3-4 products and see which one causes the best results. Sorry, no other way about it! But whatever you do, check out Boswellia too, because there is a reason they are mixing it with Turmeric products….